Angel Scraps: Exploding box! - Elizabeth Craft Designs! Exploding box! - Elizabeth Craft Designs! I think I am now addicted to making exploding boxes! lol! Here is one I created for mothers day! 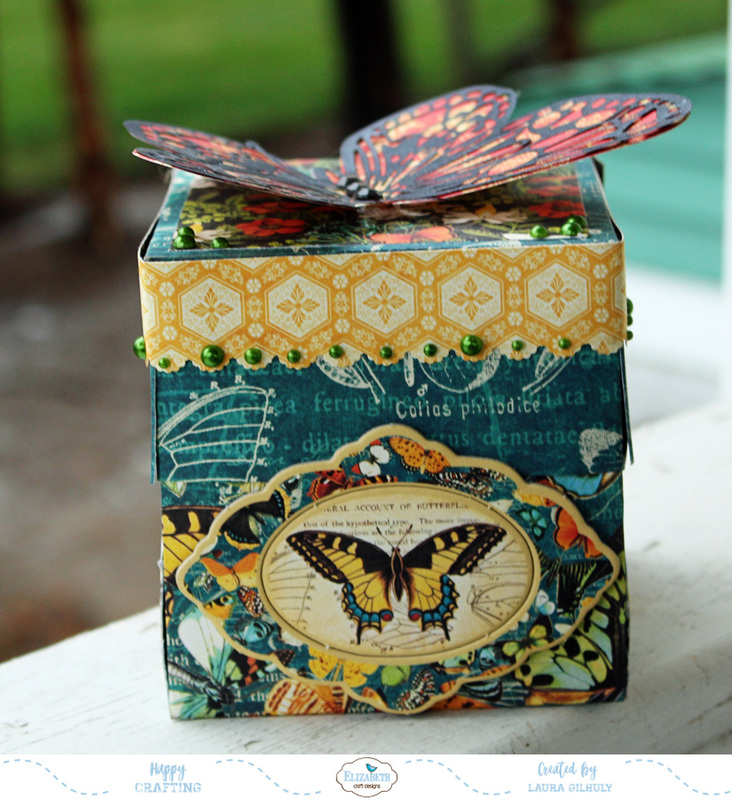 I really wanted this one to be vibrant so I used the wonderful Graphic 45 papers! To create the box I followed a couple of you tube videos and I suggest that you do to. 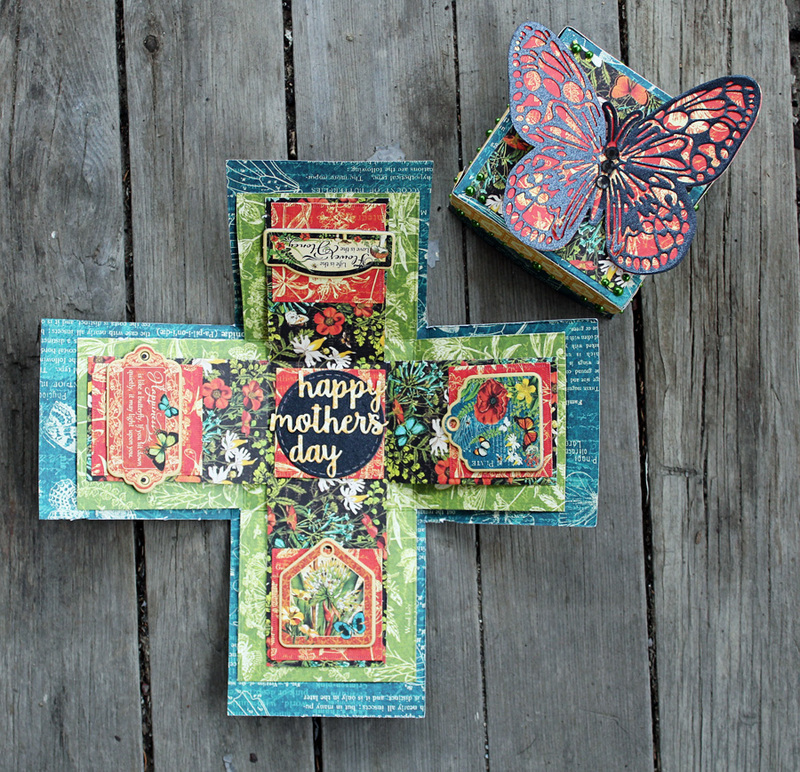 1) gather supplies - 3 sheets of coordinating cardstock, butterfly die and stitched circles die and Happy Holidays - happy mothers day, double sided tape, chipboard and pearls. 3) die cut all dies out of coordinating cardstock. For the butterfly I cut the underside out of the vibrant G45 papers then a piece of black cardstock for the upper part for the contrast! 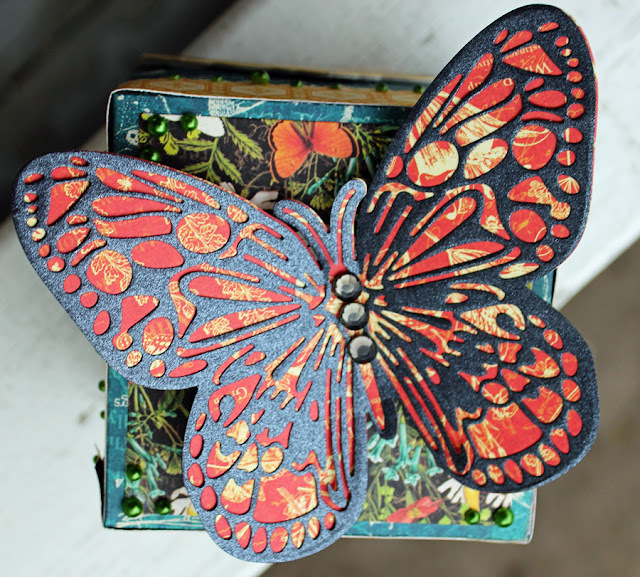 April Challenge at Creative Embellishments!